Funds enable donors to outsource any research and grant making strategy development to an expert– a professional “Fund Manager”. Each Fund is organized around a distinct problem in the world with a clear goal or mission. It is up to the Fund Manager to decide in any given grant making period what strategies will be pursued at that moment to achieve the overall Fund goal, which remains static. 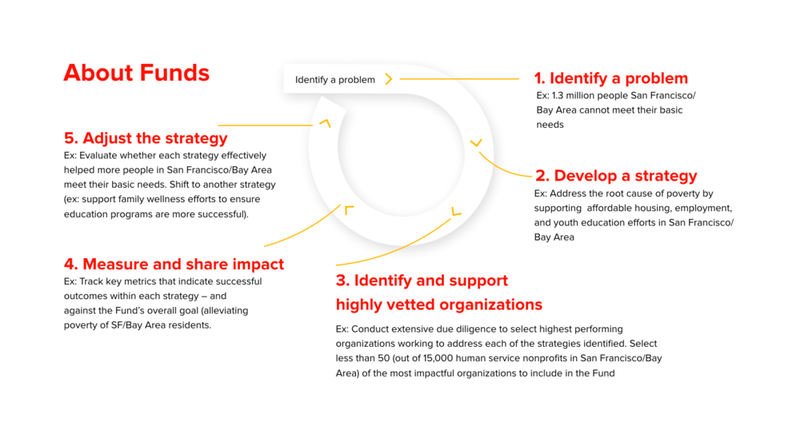 Like a “mutual fund” a “Fund” consists of a portfolio of philanthropic “investments”: collections of organizations, projects, and social impact initiatives that offer a holistic and diversified approach.